Contract Details: 2 year initial contract. Description: Jamieson is an attacking fullback who has spent the majority of his career in Australia, previously playing for Adelaide United, Sydney FC & Perth Glory. He has been capped four times for the Australian national team. Great news, fantastic signing, welcome home ! I'm feeling as Taurus said, 'That's a suprise'....one of many more to come... exciting times ahead. I can't wait to chant his name clap clap clap. Then chant his name clap clap clap. Chant his name clap clap clap. Calm down buddy. Just because I post something that you don't necessarily agree with doesn't make me a "brain dead imbecile with the IQ of a paper clip". It was not directed at you, so why do you feel the need to try and insult me? Calm down buddy. Just because I post something that you don't necessarily agree with doesn't make me a "brain dead imbecile with the IQ of a paper clip". It was not directed at you, so why do you feel the need to try and insult me? Show some respect. Relax dude...Pa Pa Pa...LOL. I was talking about the other peanut or should I say banana. how about that scott jamieson signing eh. Great signing. Hopefully the first of many! so can we call him Jamooooooo??? He's from Auburn, we can refer to him as 'kuzz'. That would be acceptable in my opinion. He looks a lot less like Joffrey now he's back in Western Sydney. This guy is younger than I thought. Seems to have been around forever. Not a huge fan of his style of play, but if he defends well I'll be happy enough. We really need to stop leaking goals from the left hand side. 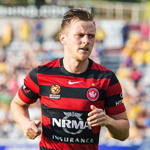 Western Sydney Wanderers defender Scott Jamieson believes his new club will be challenging for the title again next season despite coming off a horror domestic campaign which saw them claim only four wins all year. The caveat on the Wanderers' performance was their relentless external commitments, which saw them departing frequently during back-to-back Asian Champions League campaigns and participation in last December's Club World Cup. Currently enjoying their month-long break, the Wanderers will report back for pre-season next Monday, where coach Tony Popovic will lay the foundations for a return to the A-League summit. 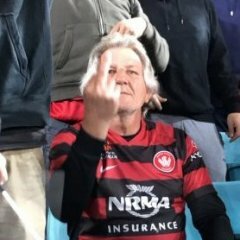 While plenty are doubting whether the Wanderers are capable of that given last season, Jamieson, after three years in Perth, couldn't be more certain that Popovic won't be enduring a second season in the doldrums. "I worked with Tony briefly when I was at Sydney FC (in 2010), I grew so much respect for him and saw first-hand what an outstanding coach he would grow into," Jamieson said. 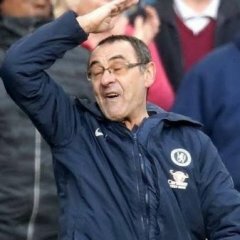 "I have no doubt at all that the club is ready to regroup for a title challenge â€“ because he's the kind of coach that is always wanting success and he knows how to get it. "I'm in a space where I want to win things and, apart from the early years at Adelaide, I haven't had nearly as much success as I would have liked. I'm coming here to win something." Jamieson said he believed the past year could even serve to help drive the club to back into contention. "Obviously, I wasn't there but one thing I do know is that when you go through adversity, you learn a lot, both as individuals and as a club," he said. "I can definitely relate to what the Wanderers have been through in my career and I definitely feel that with the people in charge, combined with the support the club has, the foundations are rock solid. I wouldn't have signed if I didn't believe that." The 26-year old arrives at Parramtta Stadium with mixed feelings about his former employers. Jamieson clearly has respect for his ex-teammates and fans but has very little time for some key players behind the scenes. "I'd give anything to have a crystal ball to know how we would have gone in the finals. I know some people think we would have won it but we'll never know," he said. "But it wasn't just the salary cap issue that made me know I had to go. There were a few other issues that I wasn't very happy with and I'll keep that for a later date. It's just sad that's how it all ended because they have so much potential. 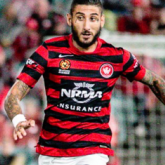 "I can at least say that through all the salary cap dramas, I ended up taking on [a] leadership role and developed some new skills which I plan take to Western Sydney." 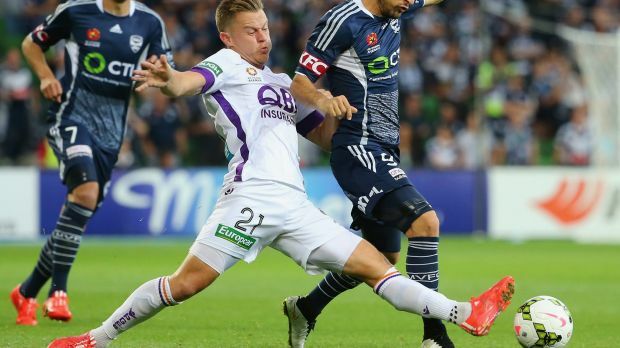 Jamieson played some excellent football for the Glory as part of the club's stern defence but he's modest about his contribution â€“ and still feels there's higher peaks ahead. "I don't like going back in time but I still feel my first year in Adelaide [in 2008] was better," he said. "I started slowly last season due to my Achilles injury and if I'm honest, I was solid without being exceptional. I still feel there's plenty left for me to show and it's up to me to capture that form. I want to bring that form out and now I've got a manager who wants the same." Born in Auburn and raised in Kings Langley, Jamieson is a bona fide western Sydney product, and will even temporarily move back into his parents' place when he shifts from Perth later this week. "Having grown up there, played all my juniors at Kings Langley and then moving to Blacktown City Demons before going to England, I know all about the football culture out there," he said. 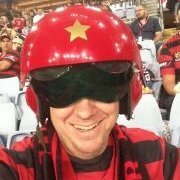 "It's a true football area and the great thing is that the Wanderers, especially their supporters, have captured that spirit. Now it's up to me to play well, earn their trust and be part of something special." Someone needs to do a stocktake, Auburn is probably the number 1 suburb in the whole country for producing players. Oh where will you guys be tomorrow ? I'll be at Doonside at 11am welcoming Scotty home.